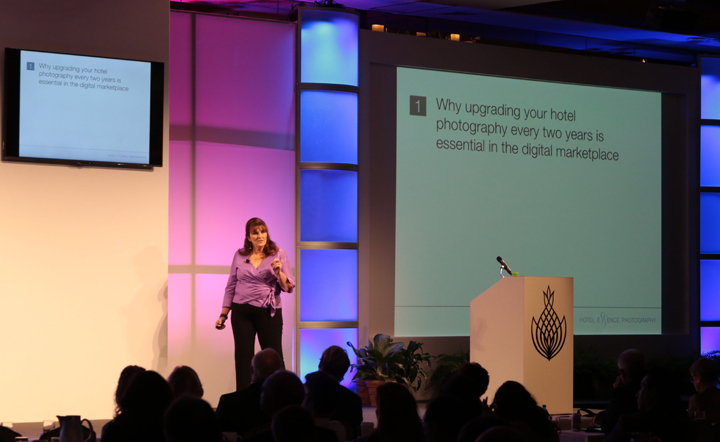 Keynote Speaker at the 2014 Preferred Hotel Group Global Conference & Predictions for the future of Hotel Photography. at the PHG Global Conference which took place in Pebble Beach, California. 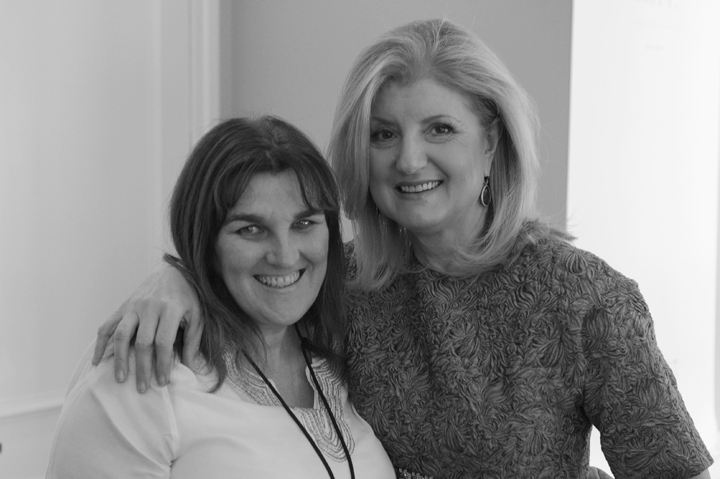 Other Keynote Speakers included Arianna Huffington of the Huffington Post and Terry Jones, founder and former CEO of Travelocity.com, Chairman of Kayak.com, and CIO of Sabre – I was humbled to speak alongside business and media heavyweights such as Arianna and Tony. It is so good to share knowledge. 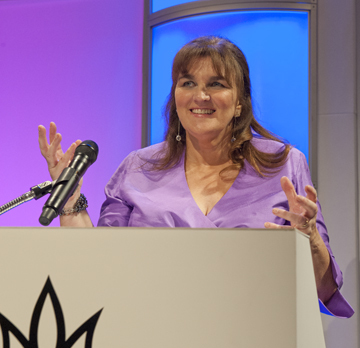 First hand experience, enabled me to offer some valuable insights and advice in my Keynote Speech to 350 of the world’s most influential and respected hoteliers. You can find an outline of the talk below. Fresh imagery will, in turn, create renewed press and consumer interest in a hotel. a. Many brand guidelines for uploading photos to hotel reservation sites, prohibit the use of images that are more than three years old. b. 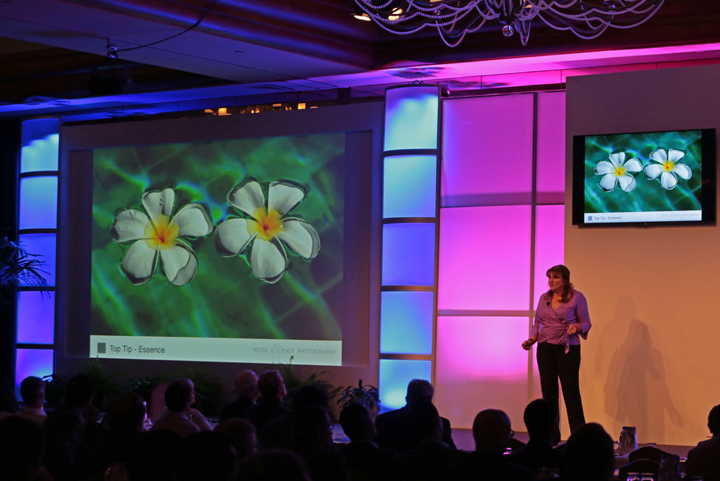 Fresh imagery will, in turn, create renewed press and consumer interest in a hotel. c. Technology has moved on, and there have been many advances in photography techniques for hotels. d. Social media audiences want the hot-off-the-press, freshly-juiced news, and to fulfil this need, a constant supply of new images is required. In general, a greater number of images is required today than has ever been needed before. b. We process images 60,000 times faster than text. 90% of information transmitted to the brain is visual. This is very important when consumers are choosing a hotel – time can be of the essence. 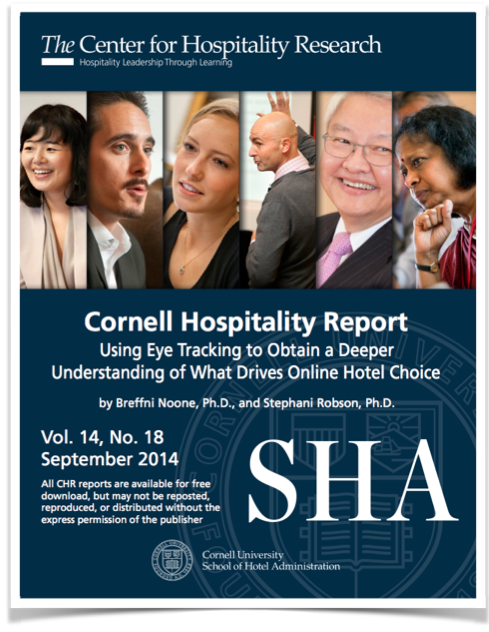 d. Cornell University published a study in September 2014 into which factors influence online hotel choice. They used eye-tracking to obtain a deeper understanding of what criteria guide people when they are choosing a hotel online. e. Visual storytelling. Quality photography also tells a story, and stories create a need, a call to action… a reservation. f. Online travel agents are asking for more photos of higher quality, because they know this will increase bookings and drive revenue. a. Plan ahead with the photographer to produce a production schedule for your desired shot list. b. Hotel photography is a niche market that requires a range of skills – your chosen professional needs to know how to shoot architecture, interiors and exteriors, people, travel, food and lifestyle. e. If you are famous for something, make sure you have a photograph of it in your archive. Ask yourself, why am I different? As this is the final blog of the year, I would like to share my own predictions for what will happen in the world of Hotel Photography in 2015.
b. Quality of hotel photography will improve – this will be market-driven, as consumers will have less tolerance for poor quality images. e. Big data from the Online Travel Agents will prove the Return on Investment for hotel photo shoots. They have this data and over time they will be able to plot the exact date when new images are uploaded, and track bookings thereafter, proving that new, quality hotel imagery increases bookings. f. Hotel Photography will be seen as an investment. 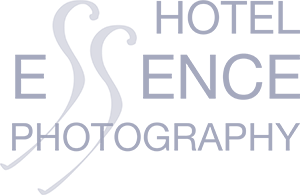 Wishing all readers of the Hotel Essence blog the very best for a sparkling 2015 from myself and my Luxury Hotel Photography crew. We are looking forward to new exciting photo assignments in luxury and historic destinations next year.